There are many, many fun and interesting things to do in and around Playa Grande. Whether you’re interested in activities, relaxation or tourism, you will be delighted with the amazing choices that are available, like horseback riding, zip lining (canopy), white water rafting, canyoning, snorkeling, diving, fishing, and many more..
First, the obvious: head to a few of the dozens of beautiful beaches that stretch along the entire coast. You can choose to sunbathe, surf, boogie board or swim,explore the shore for marine and jungle life, and finish your day with a gorgeous sunset. No two sunsets are the same, but they are (almost) all gorgeous. In addition, there are great hiking trails everywhere, in tropical jungles, cloud forests, and volcanic regions. We mention some of these in our Suggested Trips section. 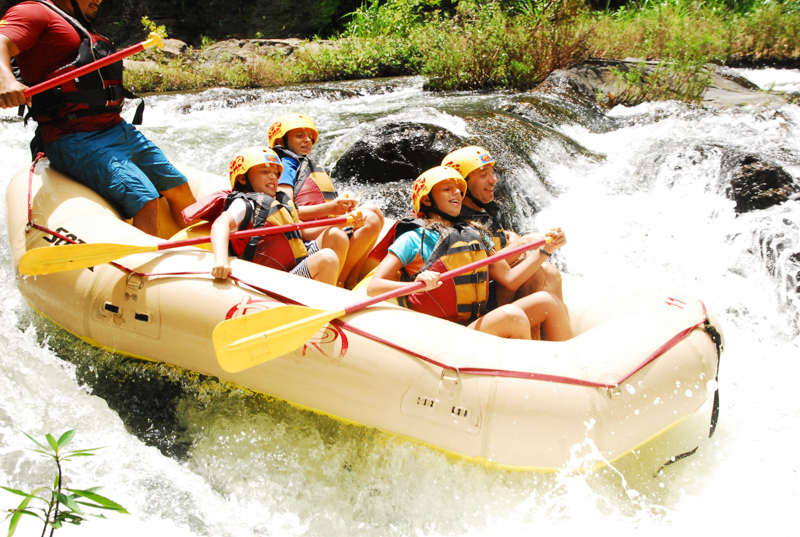 There are a few white water rafting options in Costa Rica. One we really enjoyed (with our kids!) is the Tenorio River Rafting Tour. The organization, an outfit named Rios Tropicales, is well run and friendly, and the class 3-4 rafting itself was fun, exciting and … safe. From Playa Grande, it took us about an hour to make it to the organization’s “base” for this tour, a restaurant a few minutes south of Liberia. After a warm welcome, they drove us to the starting point of the rafting tour, gave us a 10 minute safety introduction, and we were on our way. Our guide was very good at his job, spoke excellent English (but encouraged us to speak Spanish, a bonus! ), and did all the right things so we had tons of fun and felt safe. The rafting itself was about 2 hours long, then we were picked up by another truck/van and driven back to the restaurant, where we had a late lunch (included in the price). For those who prefer calmer waters (or who have younger kids), the company also offers a Floating Tour on the Corobici River. 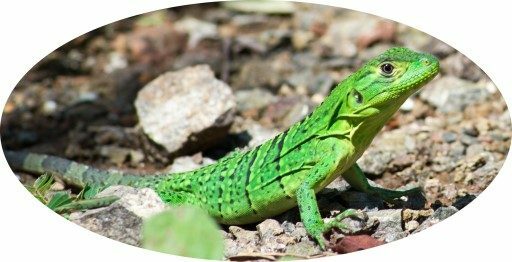 The guide will pause every now and then to point out iguanas, monkeys, or crocodiles along the way. Again, a very well run operation. Rios Tropicales runs many adventure and tourism tours in Costa Rica, and we intend to try many more of them in the future. Apparently zip lining was invented in Costa Rica! Whether or not that’s true, there are hundreds of zip lining tours here. We have NOT tried all of them. We liked Witch’s Rock Canopy Tour. The organization was good and the guides were friendly, competent and made us feel safe (yes, again). The tour itself was about an hour and a half, and it takes about an hour to get there from Playa Grande. At low tide, both Playa Grande and Playa Ventanas are very wide, and the rocky outcrops that separate Playa Ventanas from the beaches north of it are not submerged. Starting 2-3 hours after low tide, walk north from the last parking area in Playa Ventanas. Then simply scramble through the rocks and tide pools, and you’ll find several small beaches in rapid succession, with Playa Carbón being the last, biggest one. There is usually no one else around, and it’s a great way to just spend a few hours relaxing and waiting for high tide to start ebbing, so you can come back to Playa Ventanas over the rocks. Note: make sure you pick a day where low tide is reasonably early (6am or so) in the morning, otherwise you’ll be stuck into the evening at Playa Carbón, waiting for the waters to recede again.